Dubai-based Abraaj Group's founder Arif Naqvi and his managing partner Mustafa Abdel-Wadood have been arrested after American prosecutors requested his detention on charges that they defrauded their investors, including the Bill & Melinda Gates Foundation. Confirming the arrest of the Pakistani emerging markets business magnate, the Scotland Yard said he was detained at the London Heathrow Airport on April 10. Naqvi has been remanded in custody and his bail hearing will be held in about a week. Naqvi, 58, was accused of secretly diverting “at least hundreds of millions of investors’ funds” for personal gain and to help shore up Dubai-based Abraaj’s crumbling finances before it filed for provisional liquidation last June, according to the indictment. Abraaj managing partner was arrested at a New York hotel on Thursday, Assistant US Attorney Andrea Griswold said at a hearing in Manhattan federal court. Griswold said prosecutors would seek to have Naqvi, who is charged with the same crimes, extradited. Meanwhile, a statement from Naqvi’s external PR firm said Naqvi maintained his innocence in relation to the charges and he fully expects to be cleared of any charges. "For almost a year since the commencement of the provisional liquidations, he has been working tirelessly to maximize returns for Abraaj’s creditors,” the statement said. Abraaj had been the largest buyout fund in the Middle East and North Africa until it collapsed in the middle of 2018 after the Gates Foundation and other investors raised concerns about the management of its $1-billion health care fund. One of the largest emerging-markets private equity investors claiming $13bn of assets under management, Abraaj was sent into a death spiral last year after investors complained about mishandling of their monies in the group’s healthcare fund, reported Financial Times. As confidence eroded, the group was forced to place itself into provisional liquidation in the Cayman Islands to protect itself from legal action and winding-up orders by creditors. The indictments accuse Naqvi and Abdel-Wadood of defrauding investors by “depriving them of accurate information about . . . Abraaj’s financial health” and misappropriating investor funds “for illicit purposes”. Funds were diverted to cover undisclosed liquidity shortfalls in Abraaj, the indictments claim, as well as for the “personal benefit” of Messrs Naqvi and Abdel-Wadood, among others, stataed the report citing the prosecutors. Naqvi presented “false and misleading information” on Abraaj funds at an investor meeting in Manhattan around November 2017, the prosecutors allege. Prosecutors also claim that Abraaj inflated the value of their funds by more than $500m and misappropriated “at least hundreds of millions of investors’ funds”. To hide the scheme, Naqvi and others provided misleading responses to investor requests on how their funds were being used, reorted FT citing the indictments. The firm promoted the scheme “through lies and omissions to financial regulators”, the indictments added. The Securities and Exchange Commission also charged Naqvi and Abraaj’s asset management arm with misappropriating money from its heathcare fund, which had over three years collected more than $100 million from US investors, and using the funds for other purposes. The collapse of Abraaj has sent shockwaves through the regional private equity industry, raising questions over corporate governance in the Middle East, said the report. The liquidation process in the Cayman Islands has been faltering amid concern over potential legal risk for firms seeking to take over management of Abraaj’s funds. 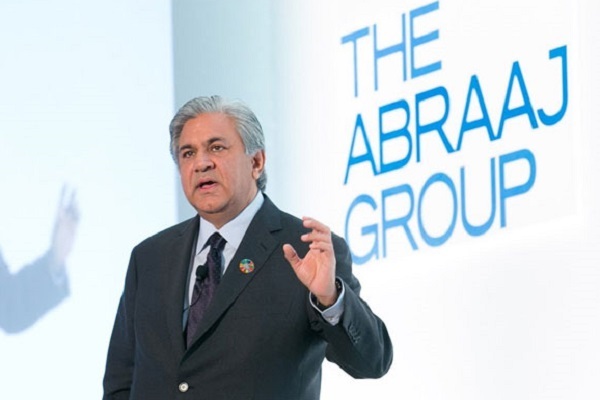 As well as negotiating to hand over Abraaj’s funds to new management, the liquidators have been seeking to sell the firm’s assets to cover about $1.1bn in debts and settle staff dues, it added.